Through migrations and hibernations. In the quiet of winter, through the dog days of summer. From mountain peaks to oceans deep, and all the wild places in between. We save wildlife, every month, all year round. Together. Take a trip with us through the year to see how. And if you’re inspired to save wildlife too, become a leader. Wildlife in peril need friends like you. Massive and majestic, moose require cool climates to thrive because they don’t regulate their body heat very well. Warming temperatures due to climate change are making moose overheat and causing deadly tick infestations. 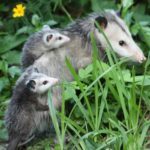 Friends of wildlife are advancing action on climate by advocating for clean energy, for stronger pollution controls and against destructive energy projects like oil pipelines and gas exploration in fragile habitats. Elusive, gray ghosts of the north, lynx are readily recognized by their long, black ear tufts and large, rounded feet with furry pads, which permit them to walk on the snow’s surface. Lynx are an “at risk” species, meaning that without proactive measures, they’ll soon end up on the endangered species list. National Wildlife Federation members are standing up for increased conservation funding in all 50 states and leading the push for dedicated federal conservation funding for vulnerable species — from lynx to mountain plovers to snowshoe hare. Mountain lions can roam an average of 250 miles in search of food and a mate. Unfortunately, their habitat in places like the Santa Monica Mountains is sliced up by some of the busiest highways in America, creating fractured habitats that severely limit the lion’s range. In the past few years, most lions that try to cross have been struck by vehicles. In a campaign that has captured the imaginations of wildlife enthusiasts around the world, the National Wildlife Federation and our partners are leading the charge to build the world’s largest wildlife crossing in the hills outside of Los Angeles. Each April, migrating monarch butterflies herald the arrival of spring, but too few of these beauties are coming back each year. Massive habitat loss has contributed to a monarch population decline of 90 percent in the past few decades. To reverse this staggering loss, National Wildlife Federation members are powering efforts to protect existing grassland habitats, and plant millions of acres of native milkweed, the one and only host plant for monarch caterpillars. Once hunted to the brink of extinction, America’s wild bison are making an agonizingly slow comeback. It has taken decades to bring their numbers up from the 100 that survived. But now, bison have run out of room to roam safely within the protections of Yellowstone National Park, and hundreds have been culled in recent years. That’s why the National Wildlife Federation has partnered with tribal leaders to relocate bison to reservations in Montana and Wyoming, so new herds can multiply and help revive ailing prairie habitats. 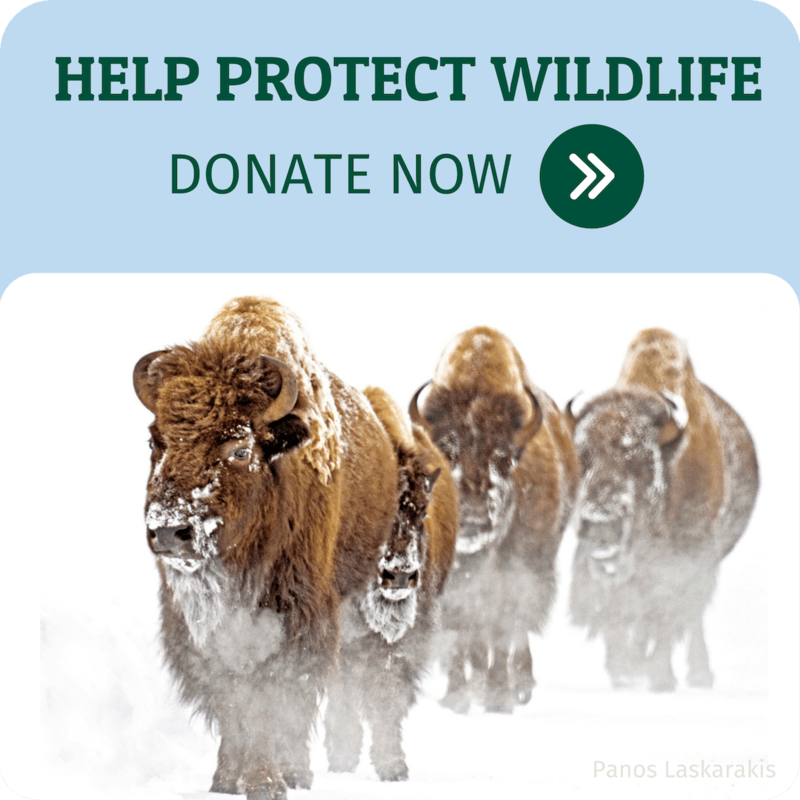 Member support is helping to create a baby boom for wild bison! Photo by National Wildlife Photo Contest entrant Saija Lehtonen. Many people who care about wildlife want to do their part to help, but just need a little guidance on how to do it. Our members help us teach people across the country by making our Garden for Wildlife program possible. Now people of every age and from every walk of life are empowered to turn their own small piece of earth – their yards, gardens or even planters on a balcony – into thriving habitat for birds, butterflies and other wildlife. We’ve recognized over 200,000 spaces representing 15 million acres as NWF Certified Wildlife Habitats®. Watching sea turtle hatchlings make their way across a beach and down toward the ocean is one of the most delightful wildlife sights you will ever see. Unfortunately, sea turtles are struggling, and one of the biggest reasons is… human activity. The structures we build to protect shorelines – sea walls and bulkheads – disrupt sea turtles’ natural habitat. But there’s a better way. With support from our members, we’re championing the use of “Living Shorelines”, which use natural materials to protect ecosystems threatened by sea level rise, along with important habitat for sea turtles, shoreline birds and other wildlife. Photo by National Wildlife Photo Contest entrant Gilpin Brown. Seeing the slow wingbeats of a great blue heron in flight is to witness grace in motion. These stately birds can be found on shorelines, river banks, and the edges of marshes, estuaries and ponds. Yet so many of these wildlife waterways are becoming polluted with toxic wastewater and run-off. Together with members, we’ve been there every step of the way supporting the Environmental Protection Agency’s finalization of a landmark regulation that restores protections for 20 million acres of wetlands and 2 million miles of streams and waterways on which great blue heron and countless other wildlife species depend. More on clean water and wildlife. Photo by Hal S. Korber, PGC. In our native forests of the Southeast, older trees with cavities provide safe refuge for flying squirrels to roost and nest. At night, the squirrels glide from tree to tree by launching from the highest branches and extending their legs to stretch out folds of skin that act like a parachute. Sadly, native forests are being recklessly clear-cut and the trees ground up into pellets, all because the European Commission considers the pellets climate-friendly. Friends of wildlife are rallying to protect native forests and other natural treasures for today, and for future generations to enjoy. Photo by National Wildlife Photo Contest Entrant Kathy Rowland. Found west of the Missouri river and especially in the Rocky Mountains, mule deer get their name from their large, mule-like ears. Sadly, mule deer populations have plummeted, in part due to coal mining that fouls the public wild lands on which this graceful deer depends. National Wildlife Federation supporters are calling on federal officials to reform coal mine leasing on our wild, public lands to protect mule deer and other wildlife in harm’s way. Photo by National Wildlife Photo Contest entrant Jennifer Warner. America’s public parks, forests, wildlife refuges and other wild, public lands are part of our national identity, and often provide crucial habitat for grizzlies and other species that can be found nowhere else. But our public lands are under attack by a small group of legislators and land grabbers trying to hand land over to private interests. To end these threats, National Wildlife Federation members are supporting efforts to unite wildlife defenders and keep our wild, public lands from being sold off or auctioned to the highest bidder. The palila is one of the most famous Hawaiian honeycreepers – a species of bird that evolved from the North American finch. Wildlife experts warn the beloved bird is declining so rapidly that it will become extinct in 5 years, unless we step up recovery efforts to save it. National Wildlife Federation volunteers and friends of wildlife are bolstering our affiliate partner in Hawaii to secure resources for habitat restoration, captive rearing and release, predator control and more. Donate NowIf you want to help save wildlife every month, all year long, become our next wildlife leader!